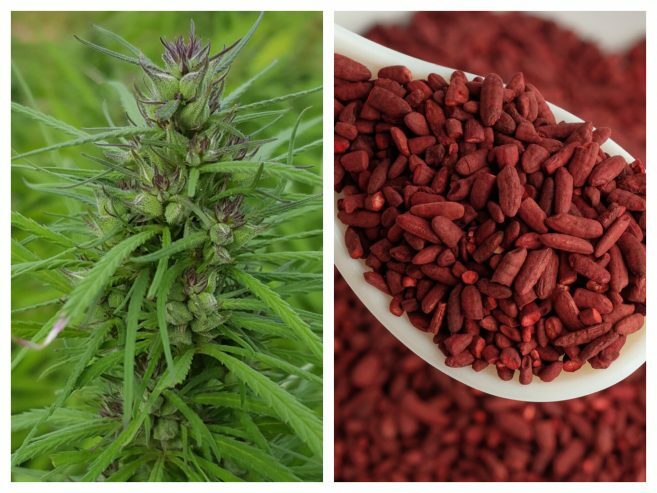 Hemp and CBD: Is Red Yeast Rice the Proper Legal Precedent for FDA Regulation? Hemp’s future may look a lot like red Yeast Rice’s past. In light of the recent approval of Epidiolex, a cannabidiol (CBD) medication, by the Food and Drug Administration (FDA), there is a lot of speculation about how the FDA will regulate CBD and hemp extract. In this post I will discuss the likely future of hemp and hemp-derived CBD by reference to the FDA’s regulation of red yeast rice (RYR) and one of its active compounds, monacolin K, also known as lovastatin. Despite their many differences, including the fact that hemp is a plant while RYR is a preparation, hemp and RYR are both natural products that have been used medically for centuries. Both contain active compounds (CBD and lovastatin, respectively) that have been isolated and approved as drugs by the FDA. For these reasons, the FDA’s regulation of RYR and lovastatin through the Dietary Supplement Health and Education Act of 1994 (DSHEA) is useful legal precedent for predicting the way that the FDA may regulate hemp and hemp-derived CBD in the future. Based on a case involving Cholestin, a RYR brand produced by Pharmanex, I believe that the FDA may eventually restrict over the counter (OTC) sales of hemp-derived CBD and products enhanced with it that promote its medical benefits, while allowing sales of hemp plant extract with naturally occurring CBD as a dietary supplement. Part 1: The Cholestin case. RYR, also known as red rice koji, is a natural product made by culturing rice with strains of the yeast monascus purpureus. Although some preparations of it are used to make food, most RYR is sold as a dietary supplement to lower cholesterol in blood levels. As a dietary supplement, the use of RYR in Chinese herbology and traditional Chinese medicine has been documented as far back as the Tang Dynasty in China in 800 AD. Its effectiveness in lowering cholesterol and lipids is primarily due to the presence of the lovastatin compound. Merck & Company, Inc. (Merck), one of the largest pharmaceutical companies in the world, submitted a company sponsored investigational new drug application (IND) for lovastatin in 1984. Under the Food, Drug & Cosmetic Act (FD&C Act), a drug includes an article that is “intended for use in the diagnosis, cure, mitigation, treatment, or prevention of disease” and an article “(other than food) intended to affect the structure or any function of the body of man or other animals”. Merck’s IND was approved by the FDA in 1987. Merck released its drug for marketing in 1987 under the brand name Mevacor. In the meantime, RYR continued to be marketed and sold OTC as a dietary supplement by a number of companies, including Pharmanex through its Cholestin brand. In 1997 the FDA took the position that Cholestin was an unapproved drug instead of a dietary supplement and said it could not be sold without approval. The FDA’s position, which was ultimately upheld, was that Cholestin did not contain traditional RYR as had historically been manufactured and sold. Instead, it had undergone processing to increase the levels of lovastatin it contained. Additionally, it was marketed and promoted for use in lowering cholesterol with an emphasis on its lovastatin content. For these reasons, the FDA concluded that Cholestin containing lovastatin was an “article” that had already been approved as a drug. Accordingly, it was excluded from the definition of “dietary supplement” under the DSHEA and could not be sold OTC. Based on this position the FDA banned imported shipments of substances that were necessary for Pharmanex to make Cholestin. The FDA’s position, and the Court’s final ruling, was based on the methods in which Cholestin was manufactured and promoted. Specifically, Cholestin’s fate ultimately turned on the fact that it had been manufactured to have higher levels of lovastatin than traditionally found in RYR. For this reason, the Court found that its lovastatin levels were more similar to the levels found in the approved drug Mevacor than traditional RYR. The ruling was bolstered by the Court’s finding that Cholestin was promoted for its lovastatin content and cholesterol reducing properties. To this day, the FDA periodically tests RYR products to determine if they have been enhanced with lovastatin above traditional levels, and monitors the marketing language that companies use to promote it. The FDA sends warning letters to companies that enhance lovastatin concentrations and/or that promote their products for reducing cholesterol. Part 2: The Cholestin case as precedent for hemp and CBD. Much like RYR, substantial documentation exists showing that hemp and hemp extracts have been consumed for millennia as food and for their medical properties. Hemp contains a high number of natural and active compounds, including CBD. A large pharmaceutical company, GW Pharmaceuticals, filed a NDI for a CBD medication in 2014, which was approved last month under the brand name Epidiolex. Hemp products are currently sold throughout the country. (Note: This post is not about the legal status of hemp and CBD from the standpoint of the federal Controlled Substances Act (CSA) or state analogues. For a quick summary of its legal status, you can read this post. For a deeper dive, you can read this post.) Many of these products contain hemp-derived CBD and/or hemp extract that have been enhanced with CBD. Specifically, when discussing CBD in this context I am referring to CBD “isolate”, which is the purified CBD molecule that has been separated from the hundreds of other phytonutrients and compounds in the hemp plant through a chemical process. This is distinguishable from less purified extracts, which contain meaningful percentages of other compounds (cannabinoids and terpenes) in addition to CBD. Although pharmaceutical grade isolate approaches 100% purity, no isolate is completely pure. I think it’s worth exploring the issue of chemical extraction and isolation a little further because it has some bearing on the topic of FDA regulation. I like using the tool of a spectrum. Picture a spectrum that goes from left to right. On the far left hand side of the spectrum is the completely unprocessed hemp plant as it is found in the ground. Moving along the spectrum to the right is the trimmed plant, in which extraneous matter is removed. This is usually done by hand and scissors for the purpose of creating an aesthetically pleasing and easily smokable flower (sometimes called a “bud”). I’ve referred to this in some of my opinion letters as “partially processed” flower. Another form of processing that does not use solvents is chopping up the entire plant (or most of it) and mashing it into pellets. Just as no reasonable argument can be made that pure CBD isolate derived from hemp is “hemp”, no reasonable argument can be made that hemp is “CBD”. Hemp is a plant and CBD is a compound. The question is where along the processing spectrum does hemp lose its character and become a compound? To focus in on our question and use the lingo of the FD&C Act cited above, where along the extraction process do we find an “article”, namely, CBD, that has been approved as a drug? This is crucial because the FDA cannot regulate hemp as a drug based on its approval of Epidiolex (which is an oral solution of CBD isolate). Hemp is not CBD. “Partially processed” hemp is not CBD, either. It is merely chopped up hemp. Even “full spectrum” hemp extracts suspended in a carrier oil are more akin to hemp than pure CBD since they contain an array of phytonutrients. Although such extracts include CBD, they cannot in any reasonable sense be called “CBD”. If we view the RYR Cholestin case as legal precedent, then it becomes clear that hemp extracts containing the naturally occurring array of phytonutrients found in hemp (ie, “full spectrum” extracts), including CBD, will not be regulated as drugs. Although the FDA has not yet taken a formal position on the matter, it seems clear that full spectrum hemp extract products are best and properly viewed as dietary supplements, much like RYR. For this reason, they will almost certainly find their way to the supermarket shelves and become mainstream dietary supplements alongside RYR, Saint John’s Wort, turmeric, etc. Similarly, and using the RYR Cholestin case as a guide, products that are enhanced with CBD, by which I mean enriched with CBD isolate, and promoted for their health benefits, eventually may be regulated as drugs and not authorized for sale OTC. Although I believe that the RYR Cholestin case is the best and most likely precedent for the future of hemp and CBD, there are arguments against it. First, hemp is a plant and RYR is a preparation. Although both are “natural”, RYR does not spontaneously occur in nature. Hemp does. Of course, CBD isolate does not spontaneously occur, either. So, the fact of hemp being a plant and RYR being the result of a human process is not likely to distinguish RYR from hemp in any meaningful way. Second, and more compelling, is the fact that CBD has been found by the World Health Organization (WHO) in two separate reports released during the past year to be non-toxic, non-addictive, non-psychoactive, and to hold substantial promise as a health aid. According to the FDA, its mission is to be “responsible for protecting the public health by ensuring the safety, efficacy, and security of human and veterinary drugs, biological products, and medical devices…” Based on the WHO findings, CBD is safe. Certainly, the FDA should monitor the efficacy and the security of products containing it; however, that can be done in the same manner as with any other OTC dietary supplement. Why should the FDA take the dramatic step of restricting something that is demonstrably safe? In other words, it appears that the FDA may not have met all of the statutory elements to preclude CBD from being used as an ingredient in food or dietary supplements because the Epidiolex trials were not sufficiently substantial. The next big battleground for CBD is the extent to which it will be regulated by the FDA. Based on the FDA’s treatment of RYR and lovastatin it is likely that products enhanced with CBD isolate and which promote its efficacy in treating medical issues will be regulated as drugs and that hemp extracts containing naturally occurring phytonutrients, including CBD, will be regulated as dietary supplements. This is not a certain outcome. It is possible that the FDA may take a strong stance and assert that all products containing CBD are “drugs”, in which case litigation will be required to sort it out. On the other hand, and based on the WHO’s extensive reports about CBD’s safety, the FDA may ultimately choose not to regulate it as a drug, notwithstanding its approval of Epidiolex. I also find HHS; DEA; FDA; any State Health Department that echoes the FDA and GW Pharmaceuticals in violation of the infringement of the 2nd amendment on all American Citizens. And in the spirit of the nutritional peak theory of the preparation of food as developed by Dr. Yoshihide Hagiwara, M.D. I hereby find HHS; DEA; FDA; any State Health Department that echoes the FDA and GW Pharmaceuticals in violation of the Health Freedom of all American Citizens. 1. While domestic hemp cultivation was banned GW Pharma a FOREIGN company filed a IND to the FDA for a cannabidiol (CBD) medical formulation derived from marijuana. 2. Once domestic HORTICULTURAL hemp cultivation was allowed per 2014 Farm Bill the HORTICULTURAL Hemp Industry started selling high CBD hemp oil as a dietary supplement nationwide. 4. Meanwhile even as of December 2017 the DEA claims all Hemp Products and all CBD products are illegal and schedule 1 so as to prevent growth in the hemp industry and aid the FDA to hand a MONOPOLY to the pharmaceutical industry over all products that contain CBD. 5. The DEA “COMBINED” with the FDA and pharmaceutical industry to limit the size the HORTICULTURAL Hemp Industry so at to more easily provide a MONOPOLY to the pharmaceutical industry. 6. Hemp Products are legal(see note 1). So the DEA saber rattled an entire industry and an entire country to prevent the public access to high CBD hemp oil as a dietary supplement to aid the FDA to hand a MONOPOLY over CBD to the pharmaceutical industry. The smaller the industry the easier to squash was the idea. 7. Public will be failed if the pharmaceutical industry is allowed a monopoly over CBD and that is the key element (“public is failed”) we need to prove antitrust violations. (U.S. Supreme Court in Spectrum Sports, Inc. v. McQuillan 506 U.S. 447 (1993)). The DEA is adamant that all consumable hemp products are illegal [that is debatable] so either way it is IMPOSSIBLE for high CBD hemp oil to have been reasonably marketed as a dietary supplement before the IND and “substantial clinical trials made public” yet the pharmaceutical industry finds itself having a monopoly over cbd (from any source). The American Public has been failed by the market. We as the American Public have a constitutional right to have access to high CBD Oil from HORTICULTURAL Hemp as a dietary supplement to maintain our health and wellness. The science is showing that it has a remarkable ability to protect us from harmful combinations of elements. The American Public has a constitutional right to bear arms via safe hemp extracts that protect their health from any harmful combinations of elements. Any obstruction on any safe distribution medium results in “public is failed”. TITLE V GENERAL PROVISIONS. SEC. 538. TITLE VII. GENERAL PROVISIONS. SEC. 773. (NOTICE “IT DOES NOT INCLUDE…”)(I furthermore contend with the persuasion of the 9th circuit that the intention of the exception to the exemption (resin from exempted parts) is that a resin could not be pulled from non-psychoactive hemp that would increase THC levels above their natural percentage in non-psychoactive hemp).